Neil started riding the bike in his early teens and 30 something years later still enjoys riding as much now as ever. 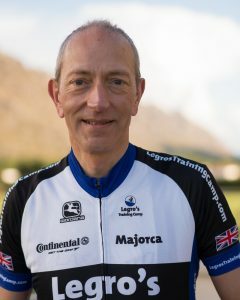 Having ridden local, regional and national road races in Scotland, North West England and Northern Ireland Neil is an experienced bunch rider and has worked as official with British & Scottish national squad teams at international stage races. Neil is an active BC level 2 coach for local clubs around his home in S W Scotland.